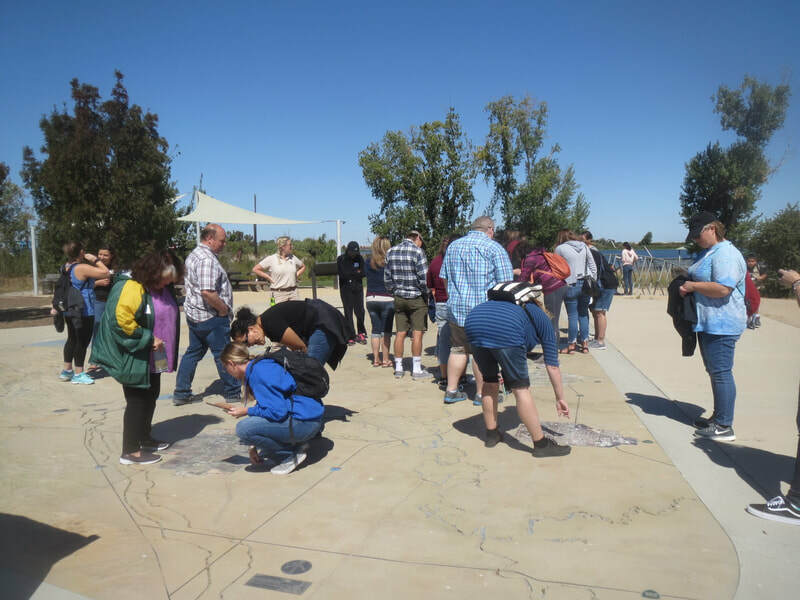 Join more than 400 teachers, youth group leaders and after-school programs already using this curriculum that focuses on the Sacramento/SanJoaquin Delta, California's most important resource. 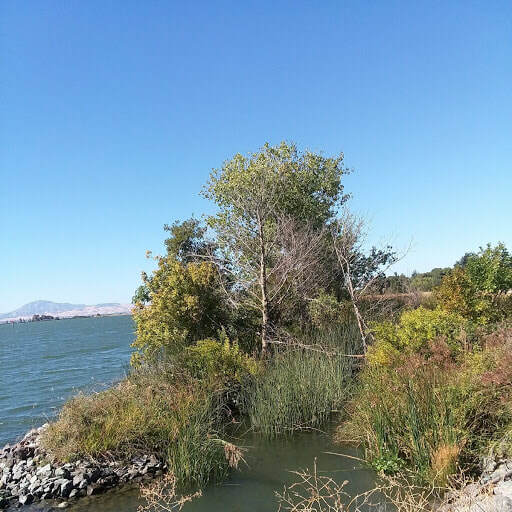 Curriculum is connected to the California State NGSS standards, with every unit specific to a grade level performance expectation from K - 12. Hands-on activities and integrated lessons have literacy links. Classroom kits of materials for each grade level are available for checkout to teachers who have had the training. 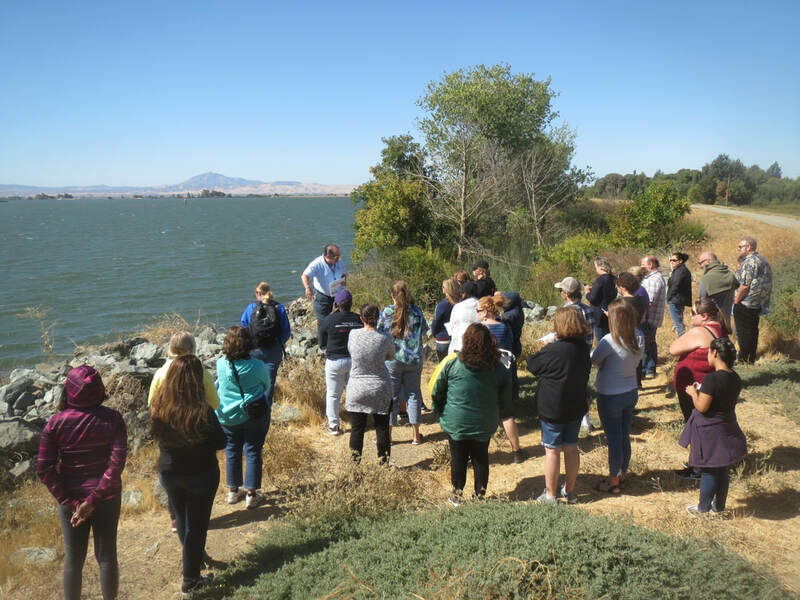 The workshop includes training for the Education and the Environment (EEI) curriculum and each teacher will receive two free classroom sets of EEI materials for this or her grade level. The Institute is currently full. 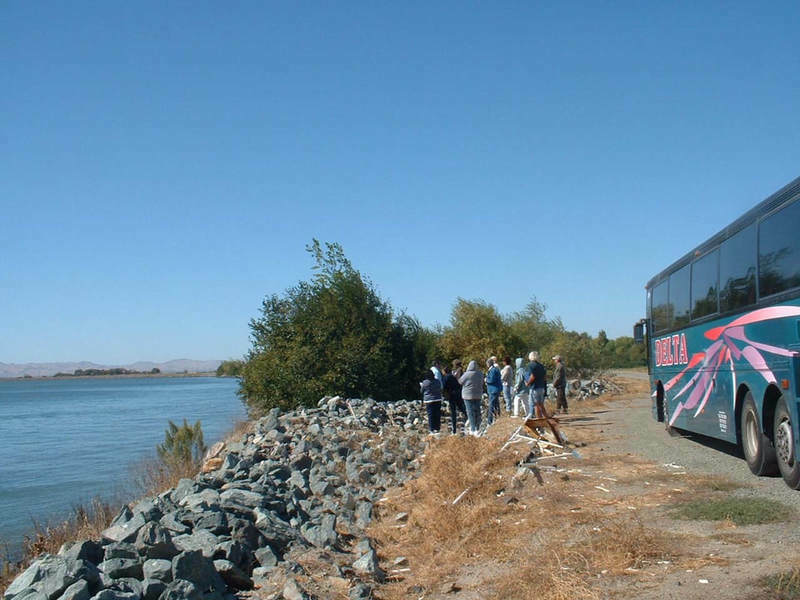 Full day bus tour of the Delta region. 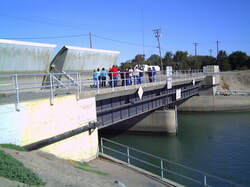 Visit the Tracy pumping plant and fish facility and the cross-channel inlet. See places with severe subsidence and learn about the research to rebuild the levels. 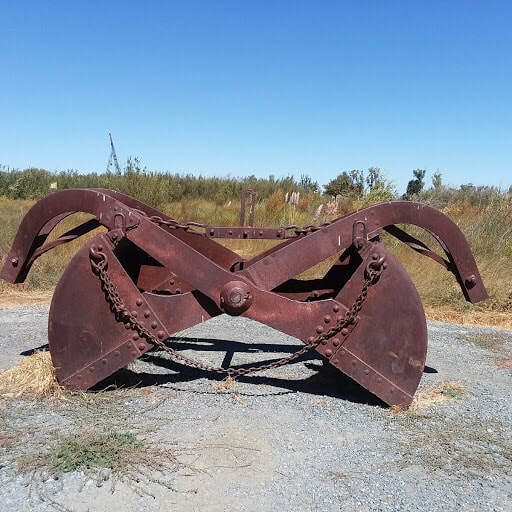 Visit the Big Break Regional Park with its excellent nature center and explore the large walk-on delta map. Photos from the tour are on the Bus Trip link above. Lunch is provided. Delta Studies and EEI curriculum, implementation strategies, hands-on activities and information about service learning in the environment. Dinner is provided. Project sharing night. Teachers share the activities they have done with their classes. See teacher project link above for samples. Dinner is provided.